About 12,500 small charities that claim only a few hundred pounds a year in Gift Aid will not be able to make full use of the Gift Aid Small Donations Scheme, MPs on the Small Charitable Donations Bill Committee heard yesterday. MPs were considering the Small Charitable Donations Bill, which contains the legislation necessary to implement the GASDS. The scheme is intended to allow charities to claim Gift Aid-like payments on cash donations of up to £5,000 a year without individual paperwork. 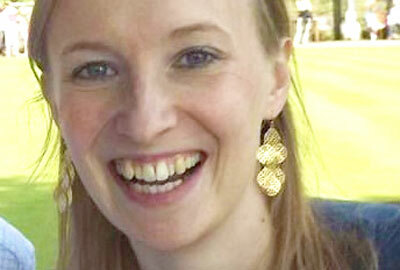 Charlotte Ravenscroft, policy manager at the National Council for Voluntary Organisations, told MPs on the committee that rules designed to prevent fraud under the GASDS by linking use of the scheme to Gift Aid have made the bill so complex that many very small charities will be either unable or unwilling to make full use of it. The bill says that charities would be able to use the scheme only if they had claimed Gift Aid in at least three of the previous seven years; and they would be allowed to claim only £2 under the GASDS for each £1 they collect under Gift Aid. This means that charities that were to claim less than £625 of Gift Aid each year would not be able to take full advantage of the measures in the bill. "There are 25,000 charities claiming less than £1,000 of Gift Aid each year," said Ravenscroft. "Of those, we estimate that half will be hit by this matching requirement. It has hugely complicated a scheme that should be simple." Cath Lee, chief executive of the Small Charities Coalition, told the committee that many charities were still unaware of the existence of the proposal, and that many of those who were aware of it had decided it was too complex. She said many charities would steer clear of using the system in case they made a mistake and were seen to be guilty of fraud. "They will be hugely worried about getting it wrong," she said. The chief executives of the Charities Aid Foundation, the Institute of Fundraising and the Charity Finance Group all told the committee that they would like the matching element of the bill and the three-year rule to be scrapped. The Small Charities Coalition and the NCVO have also repeatedly called on government to scrap the matching requirement. But Sajid Javid, economic secretary to the Treasury, told the committee that the measures were necessary to prevent fraud. He also said that removing those measures would have a substantial cost to the exchequer. Helen Donoghue, director of the Charity Tax Group, said that she saw some benefit in having a matching requirement, because it would encourage organisations to use Gift Aid, but that charities should have to claim less under Gift Aid to get the full benefit of the GASDS. Only about 64,000 of the 340,000 charities in the UK claim Gift Aid each year, Ravenscroft told MPs. According to policy documents accompanying the scheme, HM Revenue & Customs estimates that about 90 per cent of the charities currently claiming Gift Aid will take up their full allocation under GASDS. It also estimates that this scheme will lead to a 50 per cent increase in the number of organisations claiming Gift Aid.